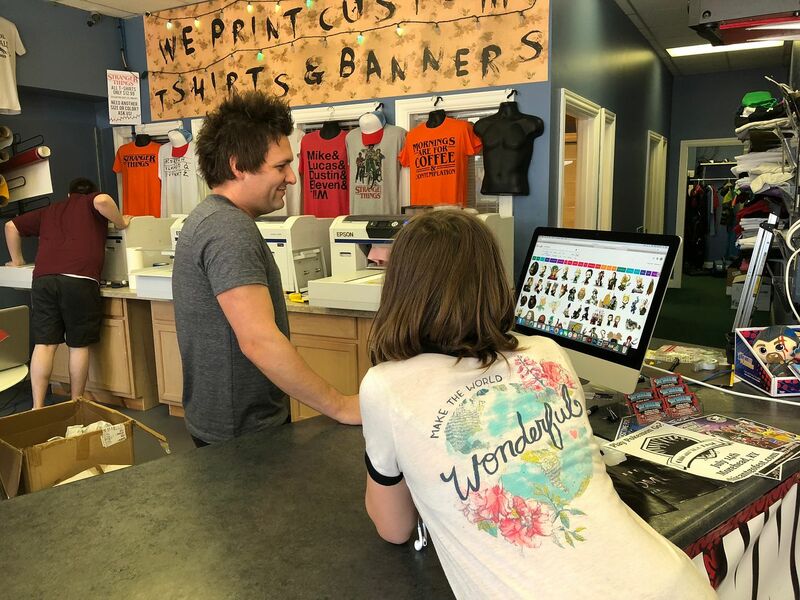 Plan a back to school shopping trip to Ashland for custom T-Shirts, ice cream, and family fun. It is that time again to start thinking about making sure our kids are ready to head back to school. Parents are thinking about immunization records, school supplies, and somewhere in the backs of our brains, how we will ever get our kids back on their school schedule. There is a lot for us to think about, but it will all get done. And yes, despite all things, our kids will make it to the first day of school. Here in Jessamine County, we are already under the one month mark. There are definite signs of anticipation coming from our eldest daughter who is looking forward to her first year not being the new kid in school. Her mind is completely focused on getting back to her friends or her squad. She would be mad I told you that. Everything I say these days sounds "cringy" to her. Oh yes, we have entered the years where I can embarrass her with nearly anything I say. The main concern on my mind has been clothes shopping. It is my absolute least favorite thing to do. My ideal experience is heading to Once Upon a Child and virtually finding everything our three kids will need in two hours. 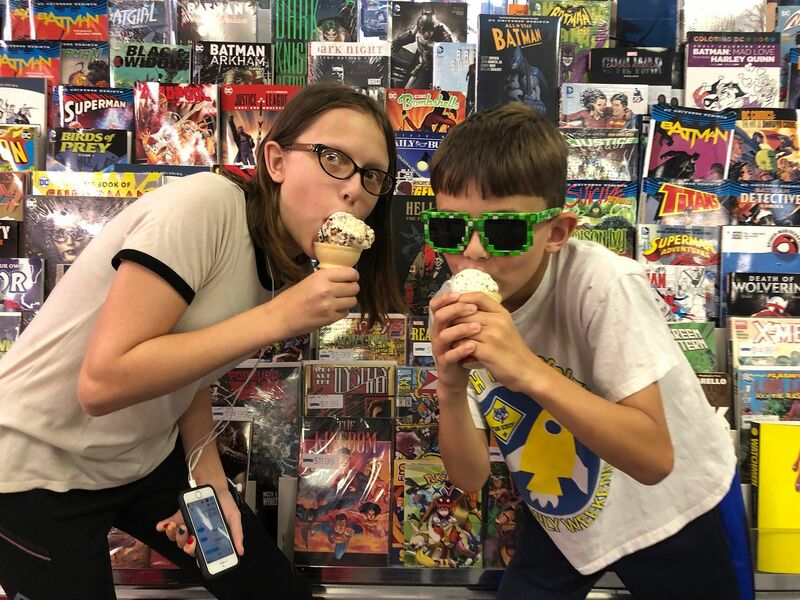 Those days are fading away as our 12-year-old is outgrowing that store and we are entering the teen years. Finding the right fandom gear and lobbying for trips to Hot Topic are daily topics of conversation in our house. Being able to have a weeks worth of Marvel gear is paramount (at least to my daughter). There are options of course. You could order gear from Amazon, brave Hot Topic or hope for the best at Walmart. What is this mother to do? Find ways to make school shopping fun. 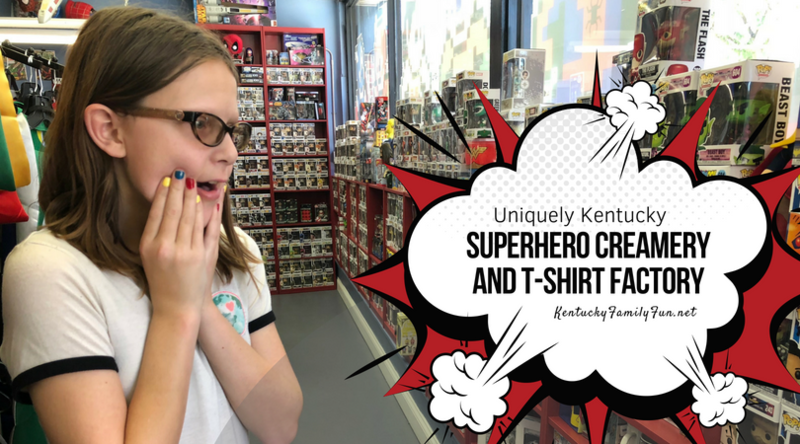 That is why, we stopped at the Super Hero Creamery and T-Shirt Factory last weekend on our way east on I64 to visit friends in Augusta County, Virginia. 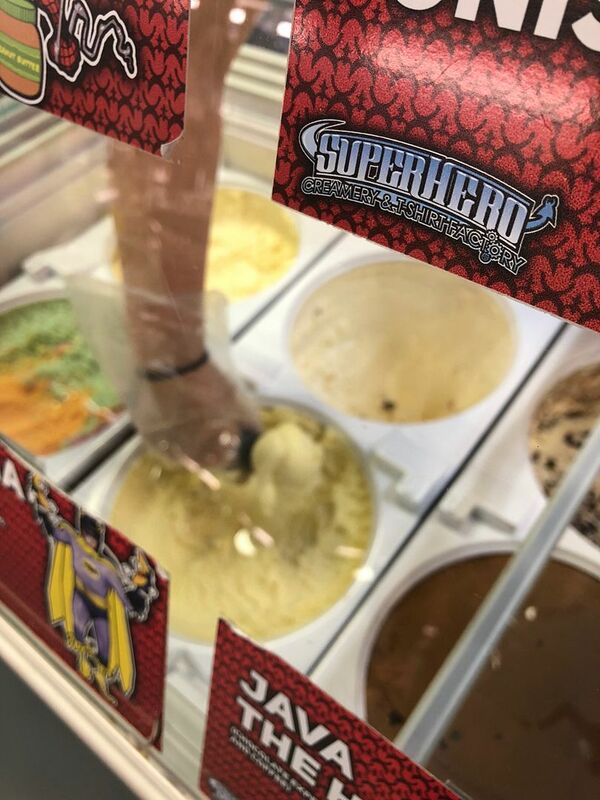 The Super Hero Creamery and T-Shirt Factory is about 15 minutes North off of I64 in downtown Ashland. 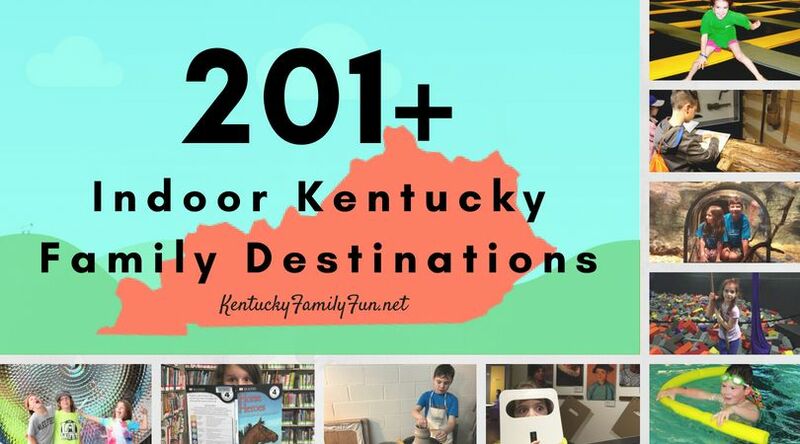 Their concept is definitely Unique to Kentucky as the business proprietor has only two locations in the area. 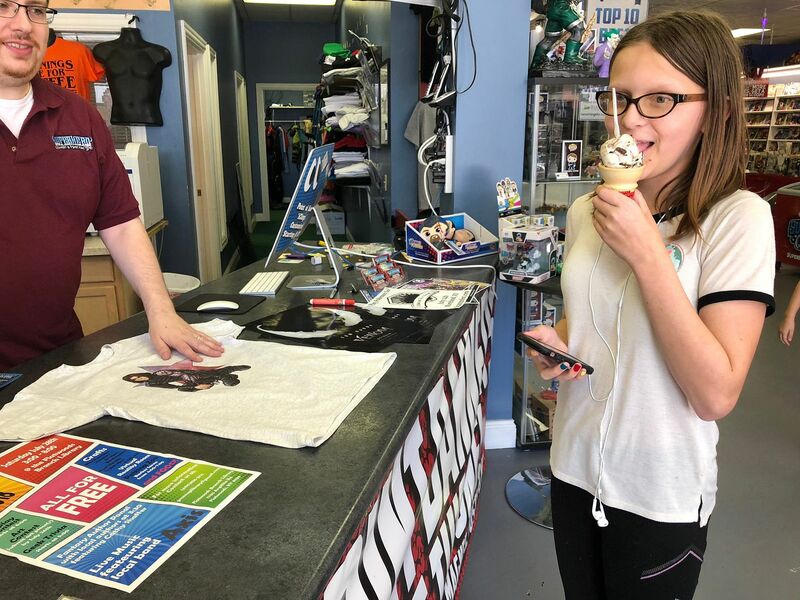 Where else can you order Superhero themed ice cream, shop for fandom gear and order an original unlimited color T-Shirt for just under $20. In the time it took us to order and eat Ice Cream our daughter had a brand new Bucky T-Shirt and a smile that said it all. This business has two locations in Ashland, Kentucky - 215 6th Street and 415 Diederich Blvd. The staff is incredibly friendly and accommodating. For more information read their reviews on Facebook or call them at 530-507-8737. T-shirts are fully customizable and there are plenty of graphics to choose from.